Oval shaped bangle bracelet handmade from 24K Gold plated hammered Bronze. Secures with a hinged closure. 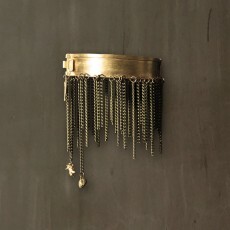 Cascade fringe of oxidized Bronze chains with an antique finish features a 24K Gold plated fly charm and bead. Cuff Diameter: 6.5 cm (2.6 in)/Width:1.5 cm (0.6 in) Chain .. Unique design bracelet featuring an open, slip-on cuff handcrafted with 24K Gold plated hammered Bronze. Cuff secures with a Black leather strap that wraps twice around your wrist. 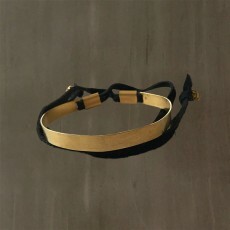 Ends of the strap are finished with 24K Gold plated Bronze beads. 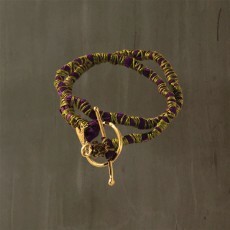 One size: Tie closure design, allow..
Purple leather and Green silk cord embellished with Native American-inspired design buttons handcrafted from 24K Gold-plated Bronze. Handmade Black Rhodium-plated Bronze toggle clasp closure. Wear alone or stacked with other bracelets. Bracelet diameter 6.5 cm. (2.6 in) .. Unique design bracelet featuring an open, slip-on cuff handcrafted with hammered 925 Sterling Silver. 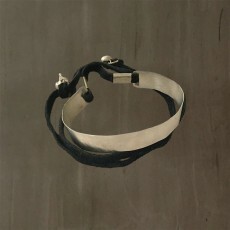 Cuff secures with a Black leather strap that wraps twice around your wrist. Ends of the strap are finished with Silver beads. One size: Tie closure design, allows you to tie the st.. 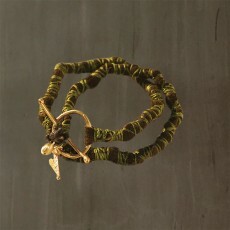 Combination of Brown leather and Green waxed cord creating a snake-effect design. 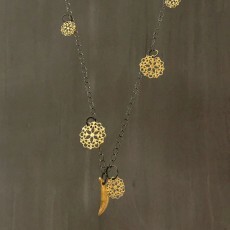 Embellished with a snake vertebrae fragment made of Black Rhodium plated Bronze. Finished with a 24K Gold plated Bronze bead. Handmade 24K Gold plated Bronze toggle clasp closure with the Ale.. 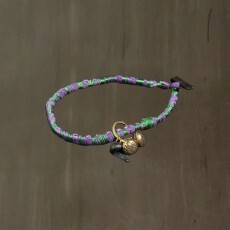 Combination of Purple leather and Green waxed cord creating a snake-effect design. Embellished with a snake vertebrae fragment made of Black Rhodium plated Bronze, finished with a 24K Gold plated Bronze bead. Handmade 24K Gold plated Bronze toggle clasp closure with t.. 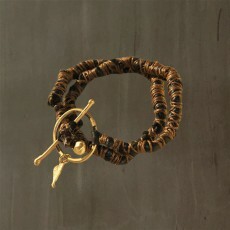 Combination of Brown leather and Gold waxed cord creating a snake-effect design. 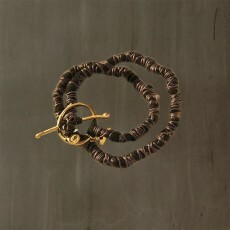 Embellished with a snake vertebrae fragment Black Rhodium-plated Bronze. Detailed with 24K Gold plated Bronze bead. Handmade 24K Gold plated toggle clasp, detailed with the Aleema signature heart t.. Combination of Brown leather and waxed cord creating a snake-effect design. 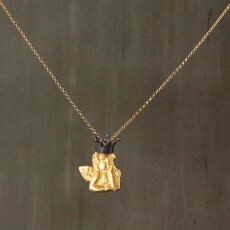 Embellished with a snake vertebrae fragment made of Black Rhodium plated Bronze. Finished with 24K Gold-plated Bronze bead. Handmade 24K Gold-plated Bronze toggle clasp closure detailed with Aleema sign.. 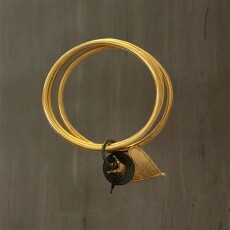 Triple bangle bracelet 24K Gold plated Bronze. 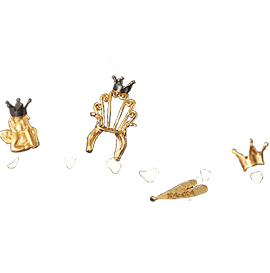 The three slip-on bangles are connected together with a ring and features a 24K Gold plated heart and crown, plus a vintage style coin with Black Rhodium plated finish. Bangle Width: 4 mm Available in two sizes: Medium: 6.5 cm in di..
Show off your limbs by selecting one of the Aleema’s wonderful handmade bracelets. You can choose between original designs, made of leather and precious metals. Choose your own bracelet and decorate your wrist improving your style and finesse.